It already feels like Thursday, even though it's just the second day of the week. I am already so tired, the wrteched viral is doing all this to me. God, I hate season change. 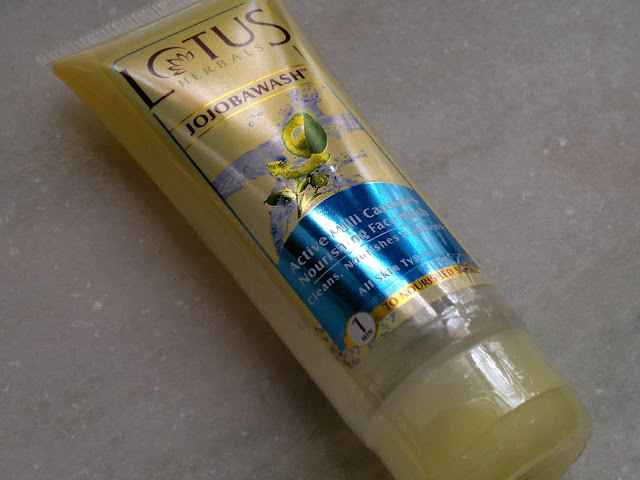 Coming to the prodcut of interest today, it's a face wash from Lotus (jojobawash). Price: INR 75 for 60 ml of the product (I got this free with a purchase from urbantouch (shown here)). Packaging is standard tube packaging with a flip cap. I had major issues with product spillage during the initial few uses. The product used to spill out everytime, as the flip top was way too tight. But now, I try to ensure that the product is far far away from the opening, before moving the flip cap. 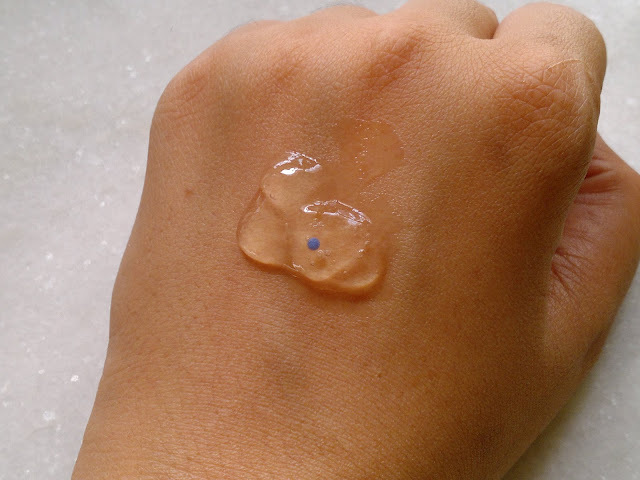 The product as you can see from the swatch above is present in a gel form with small beads / millicapsules (as lotus calls them) (blue and yellow in color). The face wash lathers up pretty effectively and doesn't dry or stretch my face at all. This may also be due to the moisture present in the air after rains. The beads dissolve after some rubbing. Lotus claims that the beads contain active ingredients, which are good for your skin. The face wash doesnot have a very pronounced fragrance. The only problem I face is that the beads are few and far apart in the face wash and most of the times I can only get the gel face wash without any beads. Product rating: B+, available at most beauty and chemist stores, also on online beauty shops. 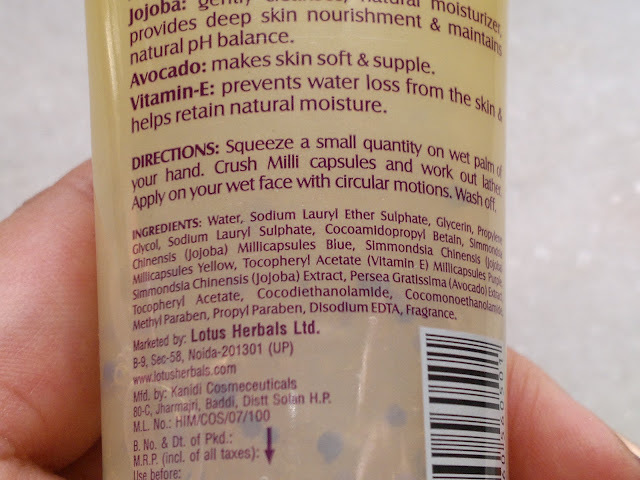 Would recommend this if you are looking for a face wash that effectively cleans your skin without drying it too much. Would be a good buy during the summer months. P.S. Stay tuned everyone for a surprise at the end of the week !!! NICE REVIEW KUMKUM... i have used this, found it good but discontinued usage coz of concern of not being soap free. nevertheless, i like all lotus products.